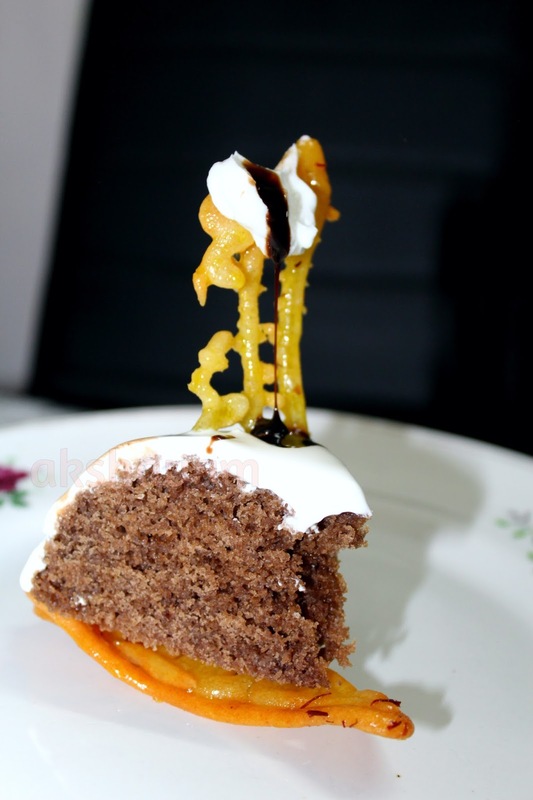 Wishing to create something more than just a layered dessert, I thought of using crisp Jalebi as the base for a soft cake. Easier decided than done as I had never tried making Jalebi in my life before. God bless the GITS company for this Jalebi mix with a free nozzle bottle as well!! 1. For the cake, sieve together the dry ingredients into a clean bowl. 2. In another bowl, beat together butter & sugar. Fold in the sieved flour mixture. 3. Finally add milk and vanilla essence and lightly mix, till you get a smooth cake batter. 4. Pour into a cake mould and bake @180 for 10 mins. (Since I use a combination microwave, I tend to bake at 200 deg C for about 4-5 minutes, followed by 4 more minutes at 170 deg C.) Remove and cool to room temperature. 5. Using a clean palette knife, apply whipped cream evenly over and around the cake or decorate as desired. Refrigerate till the jalebis are done. 6. Now for the assemling and serving... cut the cake into wedges. Place a jalebi on the serving plate. Keep the cake wedge on top of it. 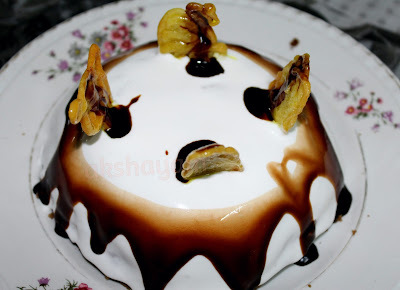 Garnish further as desired with more Jalebi pieces, cream and chocolate syrup!! !